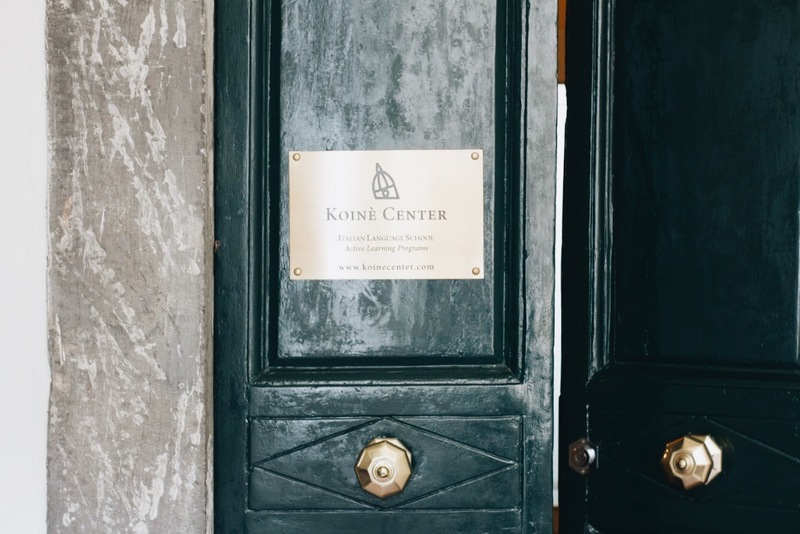 Koinè Center – one of the longest estabilished Italian language schools in Italy, founded in Florence in 1980 – offers a unique approach to Italian language learning. Flexible, varied, and effective, our classes and afternoon cultural activities are specifically designed to teach Italian in a relaxed and enjoyable environment. High quality teaching and a communicative teaching method developed through an intense, in depth-research carried out by the staff are our trademarks. Do you study Italian for personal interest, for fun, or for professional reasons? Koinè accompanies you to the achievement of your goals along a proven path to discovering the Italian language and culture. If you are a teacher and want to receive new inputs for your profession, keep up to date with the most recent teaching methods, or let your students live the experience of a study stay in Italy, Koinè offers specific courses designed specifically for you. Koinè experiences are built up around the basis of a standard course in the mornings, supplemented by additional courses of your choosing in the afternoons. This offers you the opportunity to discover our country and traditions, whilst practicing the language in a whole range of different Italian cultural contexts. Are you undecided and do not know where to start? Do you like art, food and wine, photography, nature, or are you aiming at a rapid improvement of the Italian language? Follow the path designed according to your preferences and find out what experience is more suitable for you. Cook with an Italian mum, taste wines on the Tuscan hills, attend art classes with renowned local artists. We know that an important part of your stay is a comfortable and friendly accommodation. We want you to be happy where you are living, so that you can study well and enjoy your stay. This is why, on request, Koinè Center offers a free of charge accommodation booking service for the duration of your italian language course. When you book your course, please choose the type of accommodation you desire and we will be glad to arrange it: host family (with/without meals, with/without the use of the kitchen facilities), shared apartment, independent apartment, B&B or hotel room. Accommodation is at students' disposal from the Sunday before the beginning of your Italian course until the Saturday morning following the end of the course. Should you choose the homestay (with families or single persons or shared apartment), we will be pleased to confirm your booking asap and then send the accommodation details at least 7 days before the course starting date. We highly recommend this type of arrangement, as it provides further opportunities for practising the Italian language outside the school and an unique insight into the Italian way of life. Your “host” can be a single, an older couple or a young couple with children. I can't recommend Koine enough. The teachers are entirely committed to what they do and are invested in the quality of each student's experience. I particularly appreciate how endlessly encouraging the staff has been. Learning a new language can be tough... but these teachers cultivate a safe & positive space. As I've learned Italian, the city and the culture have unfolded around me. The more engaged I've become with the language, the richer and more complex my experience of Florence has become... A worthy & rewarding pursuit! I stayed with Koinè for four months and it was a wonderful experience all day every day. All the teachers and secretary are there for you, and will help you in no matter your question/problem. You will feel like part of a beautiful family. The courses are superb, and before you know it, you speak Italian. True story! The classes are complex and divers, which ensures you will never get bored. And the teachers are just too charming. And not to forget, you will make so many new friends from all over the world, at all ages. Koinè also offers two cultural events every week, so not only will you learn the language, you will also become one of the greatest guides Firenze has to offer. As fast as my savings allows it, you will find me on the first flight back! My husband and I spent 4 weeks at the school and learned so much. The teachers and staff were capable, caring and tough! Tough is good when one wants to slip english into the class. I had a shop keeper comment on how my pronunciation of italian was very good. Planning on a return trip next year. Also met some wonderful students from around the world. We are in our sixties. The school is for all ages! The school provides opportunities for activities outside the classroom. Can`t wait for another class! I’ve attended Koine in Lucca several times during the past two years. Both the school and the city combine to form a fantastic experience. The lessons are heavily geared towards conversing in, and listening to, Italian. Grammar isn’t ignored but takes second place to fostering the ability to really communicate with others. The teachers are very friendly and approachable. Thoroughly recommended.